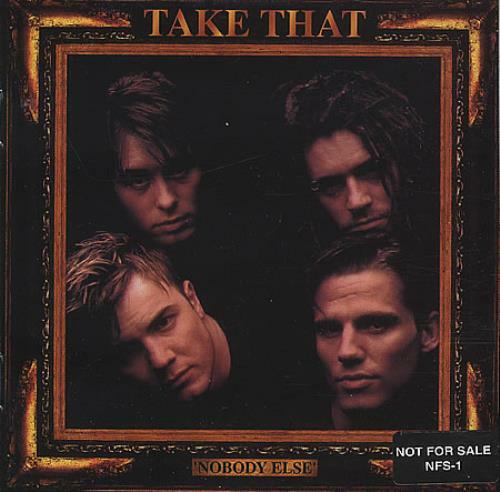 TAKE THAT Nobody Else (1995 US promotional-only advance CD custom printed 'Not For Sale', complete with picture sleeve. Apart from being stickered 'not for sale,' this release is most notable for its non-Robbie band line-up. The rather conspicuous gap in the centre of the picture sleeve is where Mr. William's head should have been! ).